OpenTok SIP Interconnect from TokBox | Enable WebRTC & Telephony Interoperability for your website or application. 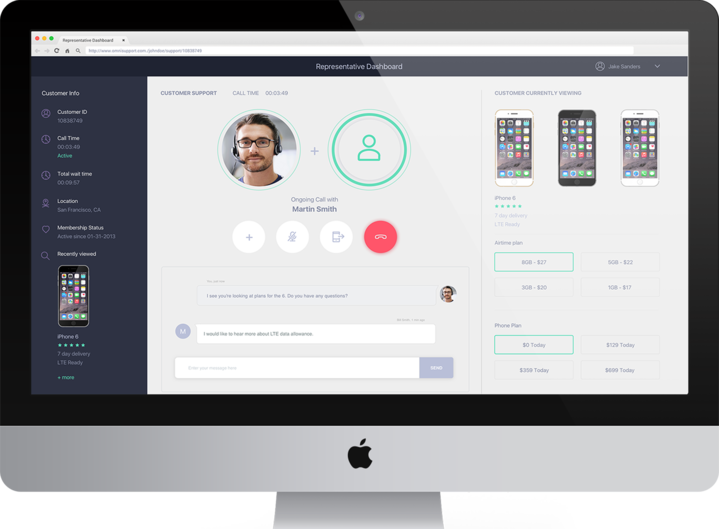 Enable WebRTC & Telephony interoperability for your website or app. SIP Interconnect enables WebRTC sessions to work with traditional telephony systems. 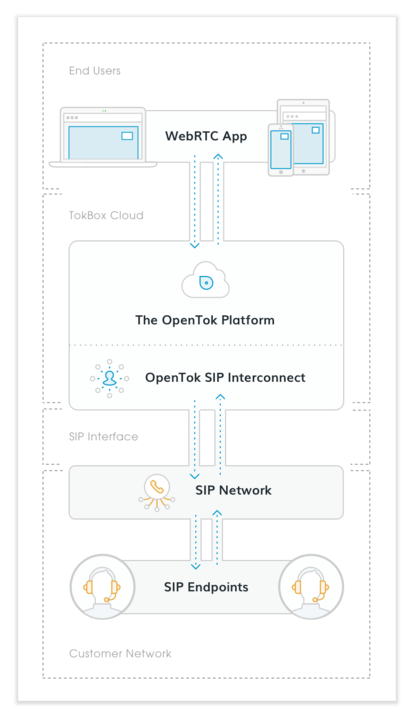 In order for the OpenTok SIP Interconnect to work you need to configure your SIP gateway to interoperate with the OpenTok platform. Looking for more product details? 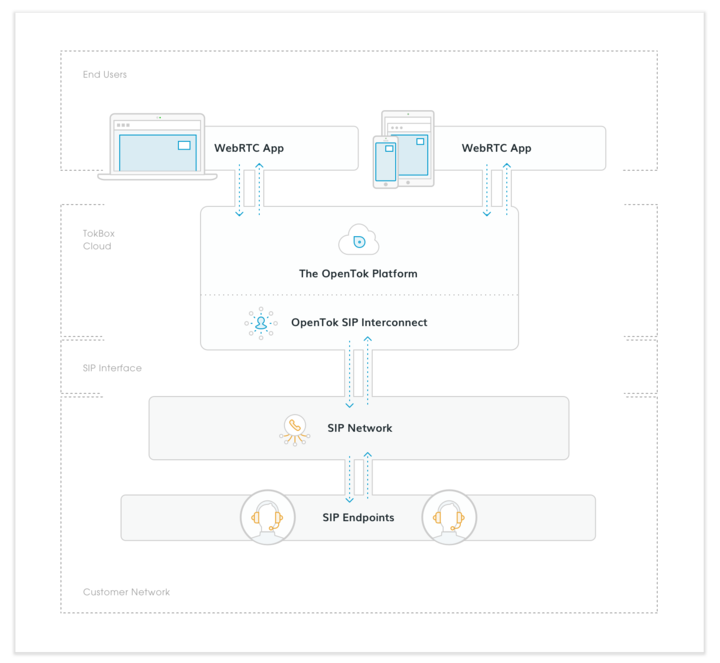 With SIP Interconnect you can combine both WebRTC endpoints with your existing telephony infrastructure.